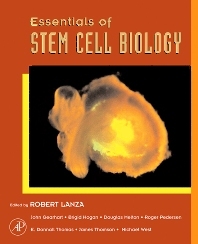 The organization of the book remains largely unchanged, combining the prerequisites for a general understanding of adult and embryonic stem cells; the tools, methods, and experimental protocols needed to study and characterize stem cells and progenitor populations; as well as a presentation by the world's experts of what is currently known about each specific organ system. Researchers, Grad Students in Biology, Stem Cell Researchers, Professionals in the field of Tissue Engineering, Bone Biologists. Part One. Introduction to stem cells. Part Two. Basic biology/mechanisms. Part Three. Tissue and organ development. Part Four. Methods. Part Five. Applications. Part Six. Regulation and ethics.